American Thinker, March 4, 2017 - While mainstream media may provide wide coverage of Iran’s recent military drills on the ground and at sea, including a variety of missile test launches, they represent nothing new. A new administration taking the helm in Washington has engendered widespread reactions from inside the mullahs’ apparatus on how to respond. Senior Iranian regime officials have been discussing recent developments and rest assured they are weighing a variety of different scenarios on how to respond with the least possible collateral damage. One scenario currently being evaluated is a possible foreign military attack against Iran, and the solution provided is similar to the policy Iran adopted regarding its nuclear program: giving in to negotiations with the international community and providing concessions in order to maintain their face while taking advantage of possible loopholes, to thus defuse or neutralize any military assault. The recent visit to Kuwait and Oman by Iranian President Hassan Rouhani is evaluated in such a perspective. A second scenario, pursued by the so-called “hardliners” in Iran and the Revolutionary Guards (IRGC), is focused on the argument that the new U.S. administration, despite all its aggressive posture, is unable to launch a new military offensive due to the lack of appetite in the American society and the White House’s adherence to the U.S. bipartisan structure and strategy. What is clear in Tehran’s decisions and policymaking is the current pursuit of saber-rattling by means of recent missile test launches and military drills scheduled for a variety of military forces, especially the IRGC. Through missile tests and a colorful array of military maneuvers that merely showcases a force barely able to meet any true challenge against its Middle East rivals, Iran is desperately seeking to keep face, domestically speaking. It is quite obvious to any realistic military analyst that if the United States and its Arab allies sought to respond to Iran’s unconventional methods, they would hardly have any tough planning to think about. However, the intention of this piece is far from advocating another unnecessary war in the Middle East. The only difference is that Iran continuously presses the pedal on propaganda warfare, and unfortunately enjoys the support of a conglomerate of pro-appeasement advocates in the West, which also must come to an end. Such chest thumping by Iran was also seen during the George W. Bush administration, especially following the Afghanistan and Iraq wars, where Iran desperately sought to prevent a similar fate. To sum it up, Tehran resorts to saber-rattling in an attempt to quell any possible Washington military option, and to lift the spirits of a dwindling social base suffering from serious loss in numbers. In this regard, IRGC Ground Forces commander Brigadier General Mohammad Pakpour -- before becoming famous for his ‘slap in the face’ remarks -- had announced the ground drills staged from February 20th to the 22nd involving an initial phase of missile tests in Iran’s central desert lands, resembling a defensive scenario in the face of threats posed by foreign forces.  The second phase consisted of the IRGC special forces, known as the Saberin Unit, troops of the 5th Nasr Division and paramilitary Basij conscripts. The later forces were preparing for missions to quell popular protests, the prospect that Tehran fears the most. As mentioned already, Iran’s military drills are focused only on creating a military boogieman out of nothing in comparison to the conventional forces of other states, focusing on keeping rivals and international correspondents at a certain distance. Yet more important is Tehran’s desperate attempt to keep a straight face after the end of Obama’s presidency when it enjoyed too many concessions. Iran even boasts of using precision accurate rockets, that are in fact nothing but a remodeled version of the Russian 122mm Katyusha rocket (a WW II design) with a range of no more than 75 kilometers. Iran has even claimed of testing “anti-helicopter mines,” which deserves only ridicule in today’s world of advanced warfare. To respond best to Iran’s measures is to target the mullahs’ Achilles Heel. The mullahs rely on the IRGC for their domestic crackdown, foreign warmongering, and their ongoing nuclear/ballistic missile drive. To this end, blacklisting the IRGC as a foreign terrorist organization -- under discussion as we speak in the White House and Congress -- would be the silver bullet against the regime ruling Iran. This is the right next step in a roadmap to bring an end to 38 years of misery both for the Iranian people and nations across the Middle East.